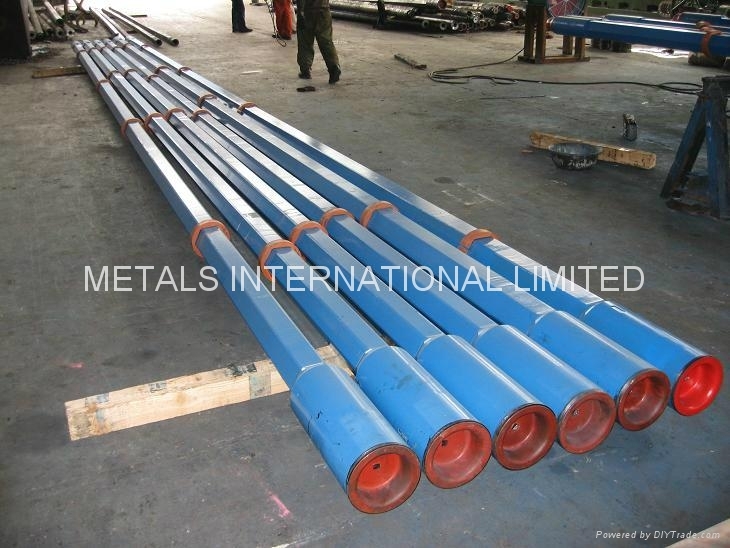 Based on API, Square Kelly is made from forged or rolled AISI 4142H-4145H alloy steel. 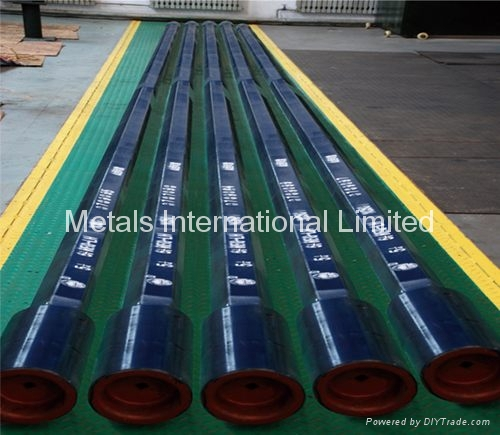 It is formed by hot forged and fully heat- treated, and also by intermediate frequency induction heat treatment or 20m horizontal optical resistance furnace, which can provide high physical properties in full length. All threads are cold rolled copperized, phosphated. 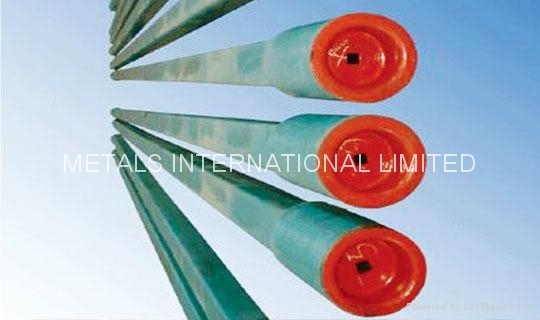 Specifications︰ Kelly is made from 4145H alloy steel which is quenched and tempered at full length. The hardness is 285-341 BHN and the minimum impact value is 54J as per ASTM A370 Charpy-V. Kelly ends and drive sections, internal diameters and connections are machined and inspected according to API Spec 7. Kelly bar is inspected by ultrasonic unit. The wall thickness of each flat of the drive section is verified ultrasonically. Notes: Any kind of combination of hexagon kelly and left hand connection of other models and sizes is available.